There is no way to natively re-share content in Instagram, so a common practice is to re-post (“regram”). We’ve built that feature directly into SmarterQueue! You don’t have to copy and paste links back and forth between programs – you can find content directly in SmarterQueue. Next, add the post to your Queue and you’re done! You’ll get a notification on your phone when it’s time to publish the post, which contains the image and caption ready to paste into Instagram and post. 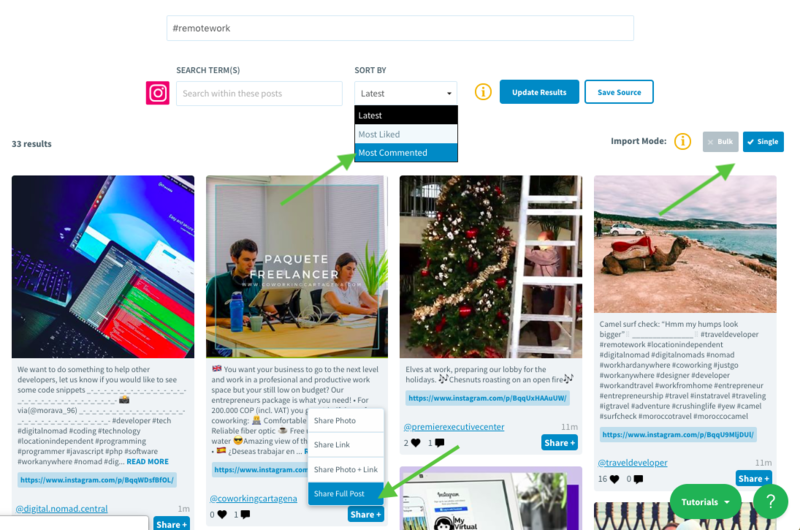 💡Once you’ve done a search for an Instagram hashtag, and applied filters/sorting, you can save it as a source, so you can easily repeat the search in the future. You can turn off Instagram image attribution in your Settings. 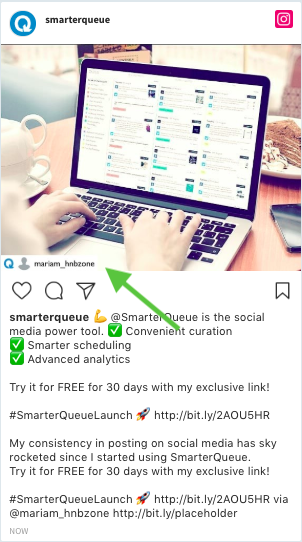 Can I search for other peoples' Instagram profiles in SmarterQueue? No, Instagram has restricted profile searches at this time and therefore only hashtags can be searched using Find Content in SmarterQueue. Can I regram posts from my own Instagram profile? Yes! All of your Instagram posts can be searched and re-posted using the Find Content tool. You can select the Instagram profile you would like to regram from and a full history of your posts will appear.